Avoid Mobile Phone Use While Driving– Although we are connected to our phones constantly, being on a mobile phone while driving is extremely hazardous. To avoid using your phone, there are many technologies and tools today that will provide a hands-free option to ensure your eyes are always on the road rather than your mobile. Avoid Risky Behavior– Harsh acceleration and harsh breaking are just two examples of how driving habits can be risky. When driving in this manner there is an increased chance of causing or being involved in an accident. 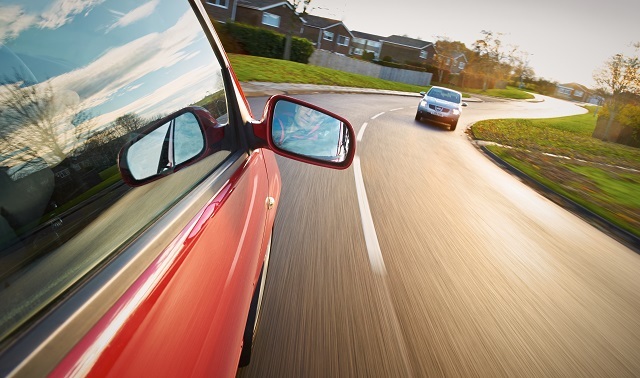 Drive the Speed Limit– Speeding is one of the most common causes of car accidents today. Although it may seem that driving above the speed limit will get you to your destination faster, on average speeding above the posted speed limit will only save you about 4 to 5 minutes overall, and will put you and other drivers at risk. Take Proper Rest Breaks – Driving for long periods at a time is straining on a person’s mind and body. It is important to ensure proper periods of rest are taken during the drive. A good gridline is to make sure a break is taken at least every 4.5 hours, and the break should be long enough to rest properly- about 45 minutes is a good recommendation. Plan Ahead– Making and planning your route ahead of time can save stress as well as avoiding the distraction of wondering which roads and routes to take. If you are making multiple stops on your journey, planning your route ahead of time will also help you chose the shortest route that will mean less time on the road. Avoid Busy Hours– Limiting the amount of driving time during peak traffic hours can help avoid the hectic and busy streets and highways that often induce more crashes than other times of the day. Planning ahead on when to leave can provide sufficient time to get where you need to be without being caught in traffic. When Weather is Bad, Adjust– Weather can be unpredictable and hard, or impossible to avoid. When driving during bad weather such as fog or rain it is key to drive slowly and keep adequate distance between you and the car in front of you. Track and Evaluate – The only way to know if your driving habits are improving are to track and analyze your habits. Incidences such as harsh breaking, harsh acceleration, speed, and location can be easily tracked with today’s technologies. With specialized software, these habits can be reported on customized charts and graphs to see exactly how drivers are preforming. It can indicate where driving habits have improved, or where more focus should be concentrated. Contact an IVMS/Telematics specialist today at FMS-Tech to learn more about implementing road safety tools!